There was a good atmosphere in the Pickaquoy Centre on Saturday evening when both the Lloyds T.S.B. and Reid Crescent competitions were played to a conclusion. The Reid Crescent competition kicked off at 4pm with Evie, Glaitness Rovers, Hope Hotspurs and St. Andrews Dynamos progressing to round 2. In the second round of games Papdale Giants, St. Andrews Twisters, Papdale Dales, Firth Spiders, Stromness Devils, Glaitness Spurs, Dynamos and Firth Scorpions all won to proceed to the quarter finals. A break was then taken to play the East v West competition. West dominated in the A Game winning 3-0 but lost the B Game when fortunes were reversed and the East won 3-1. In the Reid Crescent Competition quarter-finals the very young St. Andrews Twisters side overcame Giants3-2 after extra time. Dales also had a narrow win after extra time against Scorpions. Evenly matched Spurs and Dynamos had a close game which the Glaitness side eventually won 4-3 on penalties. Devils completed the semi-final line up with a 2-1 victory over Spiders. In the Reid Crescent semi-final Dales over powered Twisters 4-0 even though the young east side played their hearts out and will be stars in the future. 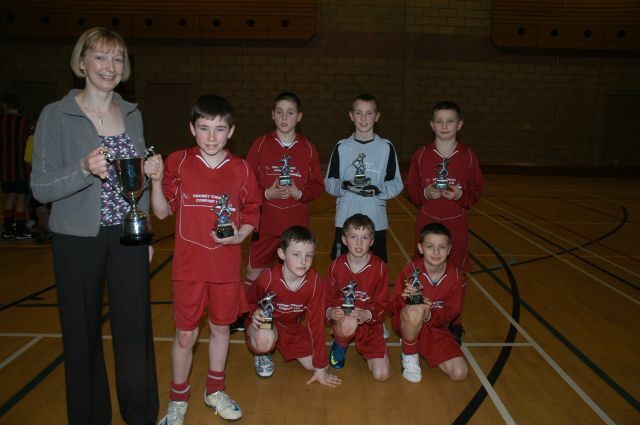 Spurs played well in the other semi beating Devils 2-0 but the young Stromness side will also be ones to watch out for. The TSB semis kicked off with a very determined Falcons side knocking Kings out by 2 goals to 1. The United v. Hurricanes match was a real tussle with both teams giving it everything but it was Hurricanes who kept their cool and scored the winner. Dales and Spurs were evenly matched in the final of the Reid Crescent. The play was shared throughout however the Papdale side managed to win by 2 goals to 1. A real battle was anticipated in the TSB final and didnt disappoint the vocal crowd of spectators. Falcons were a powerful side but it was the more skilful Hurricanes who scored through a cracking goal by Joe Wilson from a free kick. Falcons could find no reply and Hurricanes went on to complete the first league and cup double since 1988. After a great evening’s football O.Y.D.G. Chairman Jim Cormack gathered everybody together for the prize giving. He gave thanks to everybody involved and introduced representatives from the sponsors to present the silverware. First up was Ian Finlay representing Steven R. Paterson who presented medal to West A and East B. Brian Budge then presented the Reid Crescent Shield to Papdale Dales followed by Lorraine Pilkington Tait of The Stadium Cafe Bar who presented runners-up medals to Glaitness Spurs. Margo MacPherson from Lloyds T.S.B. made a short speech praising the children for their enthusiasm and effort. Each team collected their trophies and medals with each captain each giving a speech praising their team mates, fellow competitors, coaches, supporters, referees and timekeepers alike. 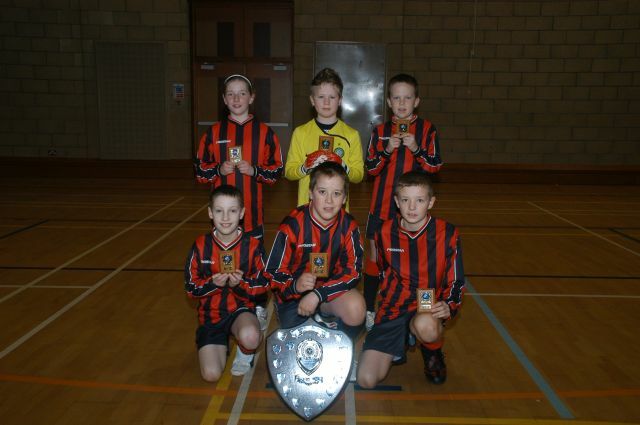 The 2009 Gilmour Shield Competition for primary schools took place on Saturday 13th June at Picky. 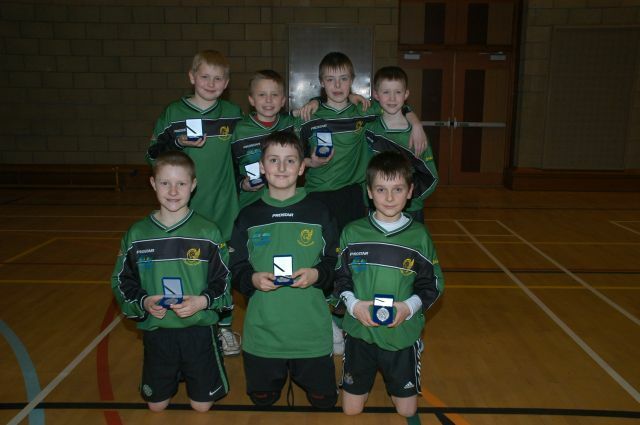 Nineteen primary school football teams competed for the Gilmour Shield at Picky, including for the first time Stronsay. Also representing the North Isles were Westray. An exciting days competition saw Stenness deservedly winning the competition after a hard fought 1-0 win against Papdale A in the final. The first round of the competition saw teams playing in a league format of 4 groups with the winners and runners-up progressing to the quarter finals. Papdale A convincingly won Group 1 winning all four of their games with Stromness B as runners-up. 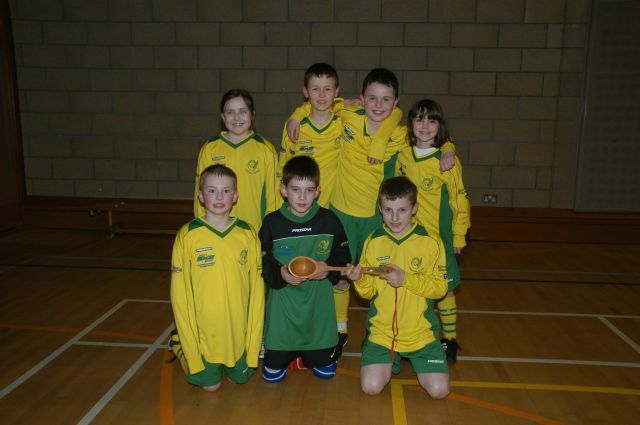 Stenness were convincing winners of Group 2 also winning their four games with St Andrews B coming second. Group 3 proved to be tightest group with three teams ending on 12 points. Goal difference proved decisive with St Andrews A and Papdale B narrowly edging out Glaitness A. Group 4 was also very competitive with three of the six games ending as no-score draws, but Glaitness B and Papdale C eventually qualified. The quarter final matches other than the Glaitness B versus Stromness B match which the former won by 4 goals to nil were closely fought affairs. Two of the matches went to extra time, with St Andrews A scoring late to beat Papdale C by 1-0. The Papdale A versus St Andrews B remained goalless after extra time and went into a penalty shoot-out. Despite failing to score with their first two penalties and St Andrews B converting both their opening kicks, Papdale A somehow managed to emerge victorious 3-2. Stenness gained the final semi-final berth after edging out Papdale B 3-2. In the semi final between Papdale A and St Andrews A, Sam Croy was the star scoring a hat-trick as Papdale A cruised to an excellent 4-1 victory. The other semi-final was a much closer game with a single strike from Andrew Harrold proving decisive as Stenness overcame Glaitness B. The final was a hard fought affair played by two closely matched teams. After a goalless first half, Callum Crawford scored the single goal in the second half that won the Gilmour Shield for Stenness. 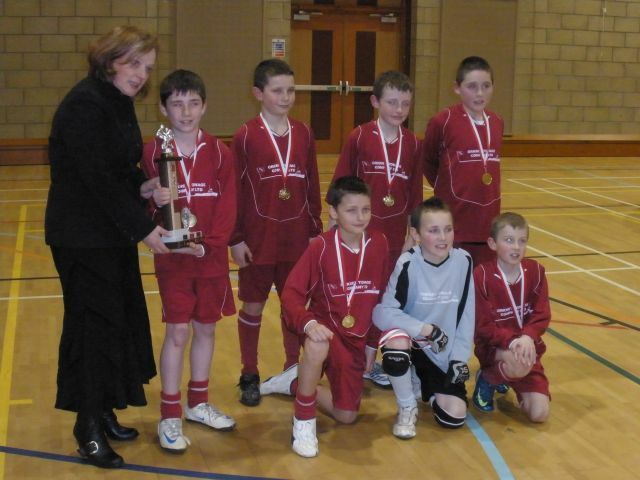 This was a thoroughly deserved victory for a Stenness team that won all seven games that they played in the competition. At the end of the competition OYDG Chairman Jim Cormack congratulated the winning team as well as all the teams taking part and thanked the referees and sponsor. He particularly thanked Michael Delday who was stepping down after organising the competition for a number of years and presented him with a gift on behalf of OYDG. An enjoyable days competition ended with sponsor Bob Gilmour presenting the runner-up medals to Padale A and the winners medals and Gilmour Shield to Stenness.